While the UK government equivocates on the degree to which it should support the UK steel industry following Indian company Tata Steel's decision to close its British steel-production facilities with the loss of around 40,000 jobs, the Swedish government, by contrast, last week announced plans to make its steel production facilities a world leader by developing a radical new carbon-free method of producing the material. 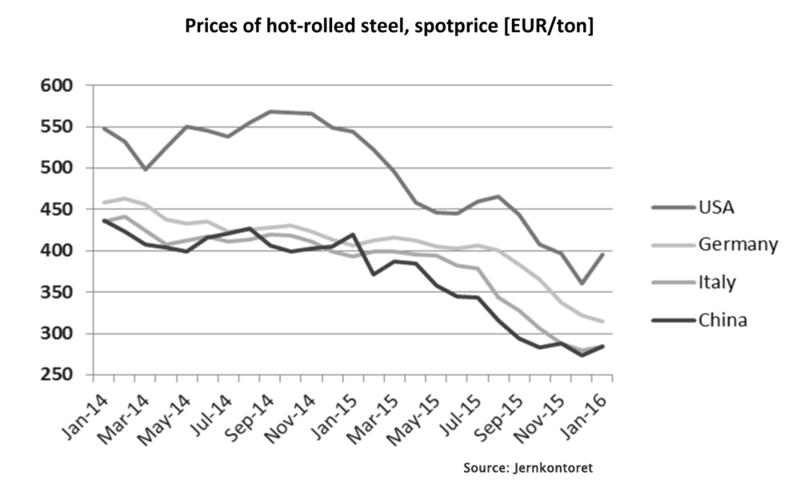 The world is presently experiencing a glut of steel production. 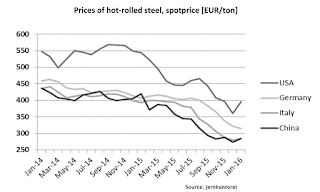 China is heavily subsidising its plants, and stands accused of dumping cheap steel on world markets. Tata is citing this, and high carbon taxes in the UK, on its decision to close its South Wales plant in Port Talbot. Workers and unions are furious and they and the Labour Party are calling for nationalisation of the plants and the reduction of carbon taxes. The British government refuses to consider nationalisation. What a contrast with Sweden. 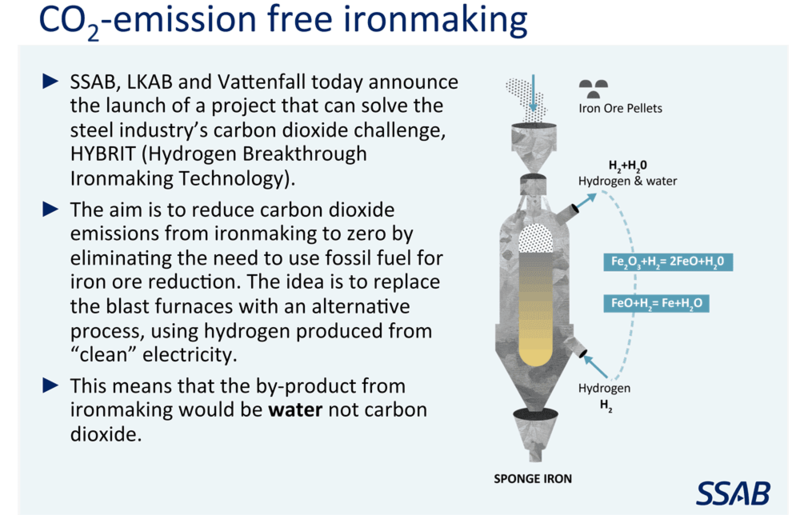 Last Monday saw Magnus Hall, President and CEO of Vattenfall, the Swedish state-owned energy company, together with Swedish steel producer SSAB, and Swedish iron ore extractor LKAB, announce the start of a long-term research project aimed at developing a production method for steel based on the use of hydrogen to replace the use of coal or natural gas, generated from carbon-emission-free energy sources. 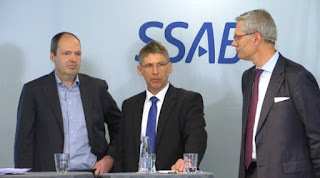 L:R: Martin Lindqvist, SSAB's President and CEO, Jan Moström, President and CEO of LKAB, and Magnus Hall, President and CEO of Vattenfall at the press conference. The announcement represents a long-term commitment to securing not only a future for steel-making in that country, but for zero-carbon steel-making, potentially across the world. Around the world, over 75% of all industrial energy usage is accounted for by only four sectors, of which iron and steel forms the largest. This is because energy costs as a proportion of total costs in steel making are high – up to 40%. Any country that cracks how to produce steel without emitting atmospheric carbon will become a world leader in the race to decarbonise human activity and it will achieve a huge competitive advantage. Sweden has announced that it wants to be that leader. The announcement was made on a webcast by SSAB's President and CEO, Martin Lindqvist, and his opposite number at LKAB, Jan Moström, with the full support of the Swedish government, represented by its Minister for Enterprise and Innovation, Mikael Damberg. Lindqvist said: "Lots of things are made of iron and steel, we need to reduce fuel consumption but also to eliminate carbon emissions altogether for a sustainable world." In Sweden, steel production is now the biggest CO2 emitter. Lindqvist said that "The Swedish steel production industry is already competitive but the emissions are very large, 37% of total emissions, and large on a global scale. Iron ore production is most commonly in a blast furnace using virgin material and coal and you get CO2 emissions. If you use the direct production method you use natural gas, and you also make CO2. "So the big difference here will be to use hydrogen instead of gas or coal. Then you make water as a by-product. The key is the origin of the hydrogen gas." Diagram of the proposed steel production method. So where will it come from? Sweden is already one of the most progressive countries in the world in the energy transition to a fossil-free world, with 52% of energy already being renewable, 40% being low-carbon nuclear, a target of being carbon-neutral by 2050 and a policy roadmap for 2025-2050 due next January. State-owned Vattenfall runs seven nuclear power stations in the country, but is to decommission two of them. The other five are expected to remain operational until 2040-45. 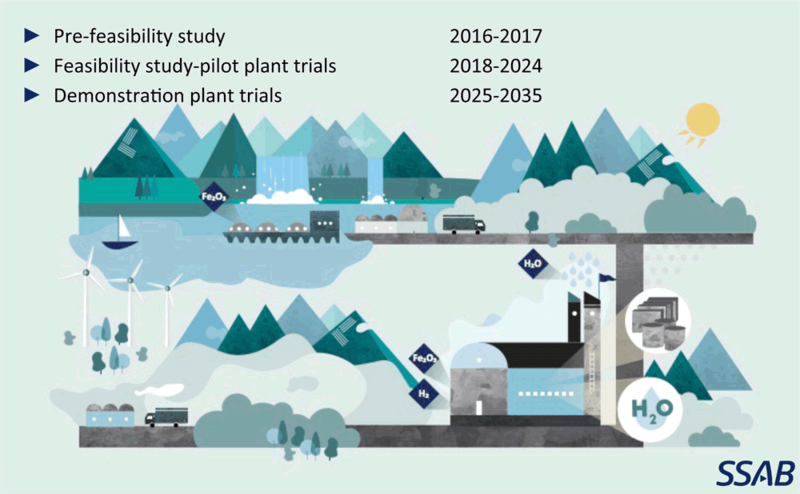 The company manages plants in five northern European nations, some of which are fossil-based, but in Sweden, the installed capacity generation mix is 59% hydropower, 33% nuclear, 1.88% wind, 4.87% fossil fuel and 1.31% biomass and waste. Vattenfall's Hall remarked that "Vattenfall has worked in Sweden for long time on electricity supply and now Sweden has almost CO2-free production of electricity. We can use this to create totally CO2-free steel production. It will be economic, and does include existing nuclear power. But how can an energy user requiring 15-20 terawatts do this with renewable and climate-friendly energy? That's what we seek to find out." It will involve a significant ramping up of generation capacity, principally of wind-power, to make the hydrogen gas, he said. "We are producing hydrogen already in Germany on a small scale, and will look into how to do this on a large scale. We don't know how big the pilot will be. We don't see us having nuclear power after 2045, so it will be windpower, but the problem will be maintaining capacity, at all times, and flexibility. 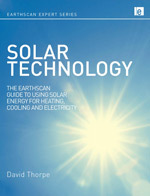 That adds onto our discussions about how renewables will work." Lindqvist went on to say that the feasibility study will take eight years, until 2024. "Then we will have a demonstration plant by 2025 or so, so this is a long term project. There are a lot of different elements to be investigated, it's a big and complicated project. We need political involvement. 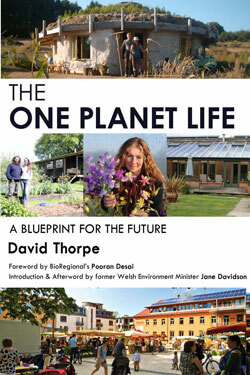 We ask politicians to support this and integration with the labour policy, and to link energy and social policy. In return, we commit to contribute with time and resources to do this. We can make a great contribution to reducing emissions in line with Sweden's 2045 goal. "We have a unique opportunity," he concluded. "We think we can make the necessary changes to become a more sustainable society and that's why we are doing this." But what about the production of the raw material, iron ore? As an extractor of ore, LKAB has been in action for 126 years. Moström said that their steel-making market had changed to direct production, using iron ore pellets which the company now produces. "Our direct reduction pellets are very low gangue and rich in iron which gives them a high energy efficiency in the direct reduction process as well as in the electric arc furnace process. The pellets also create better conditions for the production of cleaner steel. 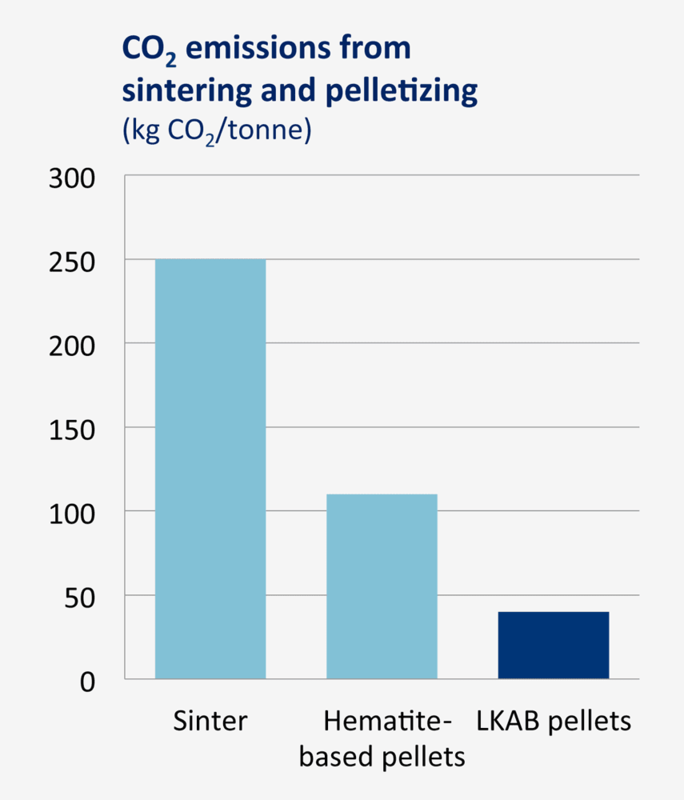 We're also developing ways of further reducing the carbon dioxide emissions from our pelletizing process." Relative carbon intensity of different iron ores. Minister Damberg called the proposal "a great initiative, since we want to be one of the first fossil-free welfare states in Europe. The Swedish economy is booming, with 4% growth, but world growth is slowing down, and this is affecting commodity prices. We want to stay ahead as a world leader, and so are thinking long-term. 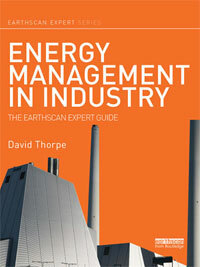 "Coal must be replaced in the steel process, and this is a large technical leap required. The success of ths project will mean a great step in the battle against climate change, but also a great step for Swedish industry. In our dialogue with industry we always emphasise the long term perspective and I welcome that industry agrees. "Sweden wants to be a world leader in the sustainable producion of steel, with a new industrial strategy for Sweden which includes sustainability and competitiveness on a global stage." But how much will it cost? Nobody knew yet, but it was acknowledged that it would be "billions". "We need to reduce the cost of hydrogen production at scale, while at the same time, the cost of having carbon emissions will become more expensive,, making hydrogen more attractive. It's a big gamble but a visionary one. 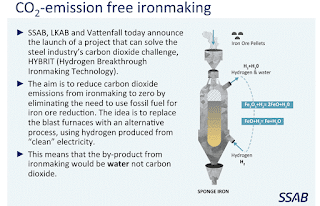 "There are lots of extra values for having CO2-free iron and steel on an industrial scale," said Damberg, who didn't want to talk costs. "This is a pre-study stage, then there'll be a pilot, then a production facility, but we see political, economic and environmental gains. 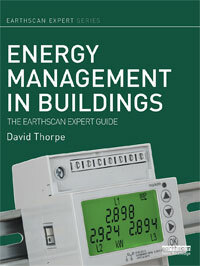 On a European level there should be much interest in this, and on a global level. Lindqvist did say: "It's going to be billions. It's a risk, and we want to check in practice it's possible. You never know, but we wouldn't start if we didn't think we had a fair chance of succeeding." There are many ways to produce hydrogen, but electrolysis-splitting of water using an electric current is the likeliest contender for the scale required. The US National Renewable Energy Laboratory's wind-to-hydrogen project has been going on for over five years and results two years ago saw a cost estimate of between $4 and $5 per kilogram of hydrogen. Since hydrogen contains 33.3kWh of energy per kilogram, then to provide 15 TWh would require 500 million kilograms, which would cost $2.5 billion at that price. Using British levelised costs for a coal plant built in 2018 for comparison, at £1.695 billion (=$2.43 bn) for the same amount of power, using wind power is not much dearer than using coal. But this back-of-the-envelope calculation does not begin to take into account the savings that will be inherent in the new steel production process that will be developed, the chances to reuse hydrogen, and the opportunities of scale. The team might well be in with a chance.